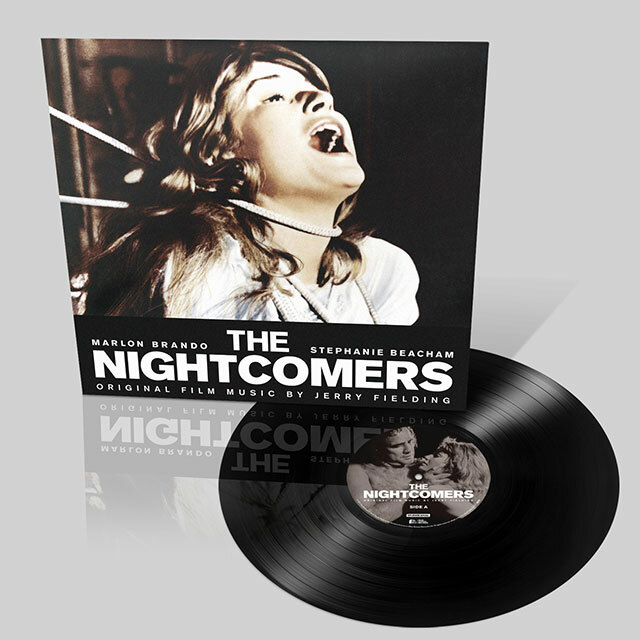 The 1971 horror film The Nightcomers was a prequel to Henry James’ literary classic The Turn Of The Screw and is probably most remembered for its eye catching poster of a naked Marlon Brando and Stephanie Beacham (faithfully reproduced on the label of this release). Set on an isolated country estate it’s a tale of repression, sado-masochism and childhood innocence helmed by Michael Winner who would shortly go to make the big time in Hollywood with Death Wish. Marlon Brando would also move on to his greatest role as Don Corleone in The Godfather. Three times Oscar nominee composer Jerry Fielding delivered a perfectly pitched score for this gothic horror, illuminating his love of 19th century baroque music and considered the soundtrack one of his finest works. A close collaborator with Michael Winner, his intricate film scores were also the bedrock of his longstanding relationships with Sam Peckinpah and Clint Eastwood on some of their biggest films.